SkyJet Aviation Services was incorporated on March 7, 2006 and is headquartered in Kaduna, Nigeria with offices in Abuja and Lagos Nigeria and Miami, Florida, U.S.A.
SkyJet is fully licensed, insured, and approved by the Nigerian Civil Aviation Authority. The company has a current Aircraft Operating Certificate (AOC) from the Nigerian Civil Aviation Authority (NCAA) and an Aircraft Maintenance Organization Certificate (AMO) from NCAA and San Marino. SkyJet has established an experienced Aircraft Sales division specializing in new and pre-owned aircraft. 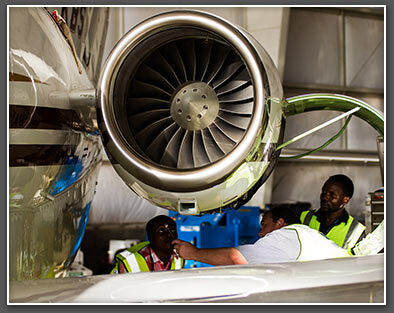 Our salesmen have over 30 years of aircraft and helicopter sales and operations experience in Africa. SkyJet is the Authorized Sales Representative for Gulfstream Aerospace for the major African markets including Nigeria. SkyJet built a brand-new modern office complex and passenger terminal, as well as an excellent, well-equipped hangar and Aircraft Maintenance facility in Kaduna, Nigeria. SkyJet is capable of performing third-party maintenance for our Embraer and Hawker Beechcraft customers. Our expatriates and Nigerian engineers undergo regular factory authorized training to remain up to date with the current trends in the aviation maintenance industry. 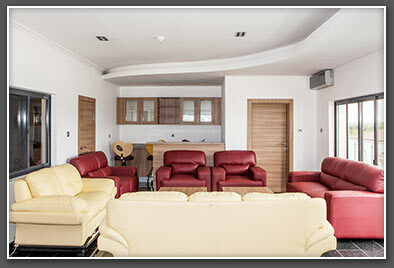 The company also provides Aircraft Management service to aircraft owners who prefer not to manage their own aircraft. For an example, we will provide fully trained flight crews, flight attendants, continuous airworthiness, maintenance scheduling, aircraft cleaning, handle all registration requirements, insurance, aircraft cleaning, etc. Mr Shirish Raval, Managing Director for SkyJet, has over 30 years of aviation experience mostly in Nigeria and Africa, of which over 20 years is in senior management. His experience is inclusive of commercial, operational, maintenance and administration.